Tanzanite is a rare gemstone made from the mineral Zoisite and found only in Tanzania, its namesake. They are rich in color from blueish purple to pure violet blue tones. 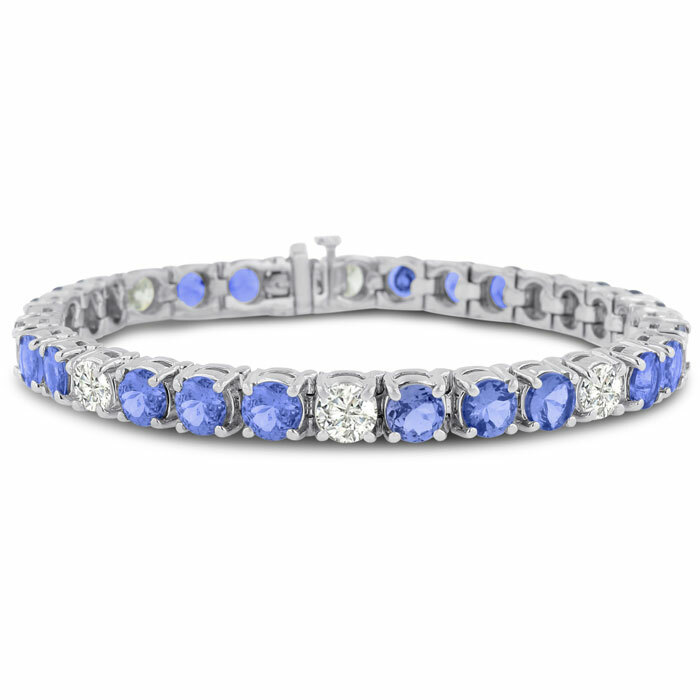 Our largest and finest gemstone and diamond tennis bracelet. You won&apos;t find a finer diamond and tanzanite tennis bracelet anywhere, featuring 8 diamonds of over 1/2 carat each, and 24 tanzanites of 2/3 carats each. Total diamond weight of over 4 carats and total tanzanite weight of 12 carats, for a total of 16 carats total gem weight. The 14 karat white gold mounting is heavy and finely crafted. This is our finest bracelet. 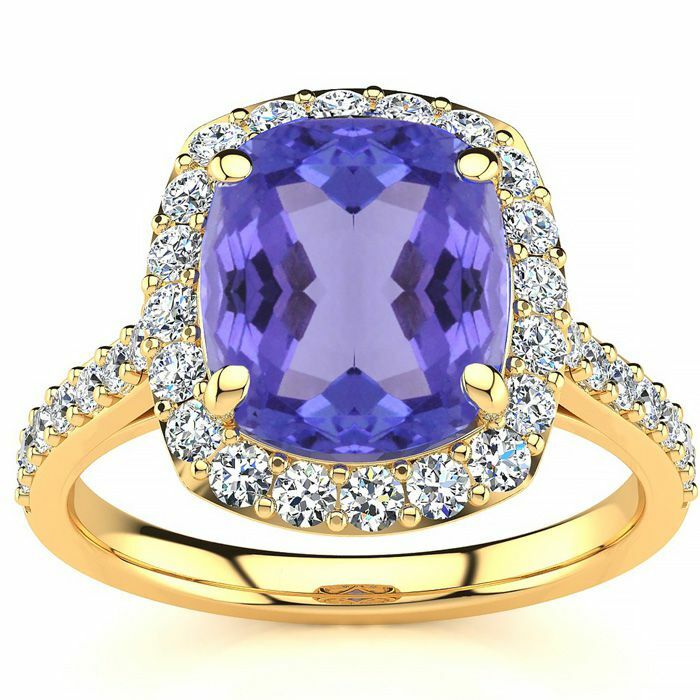 This rare gemstone and halo diamond ring features one 10x8mm cushion cut elongated tanzanite gemstone at 3.80 carats. It is surrounded by 34 sparkling diamonds in a halo and down the band in I-J color, SI2-I1 clarity at 0.61 carats. Total gem weight is approximately 4.41 carats. This ring is crafted in 18 karat yellow gold.